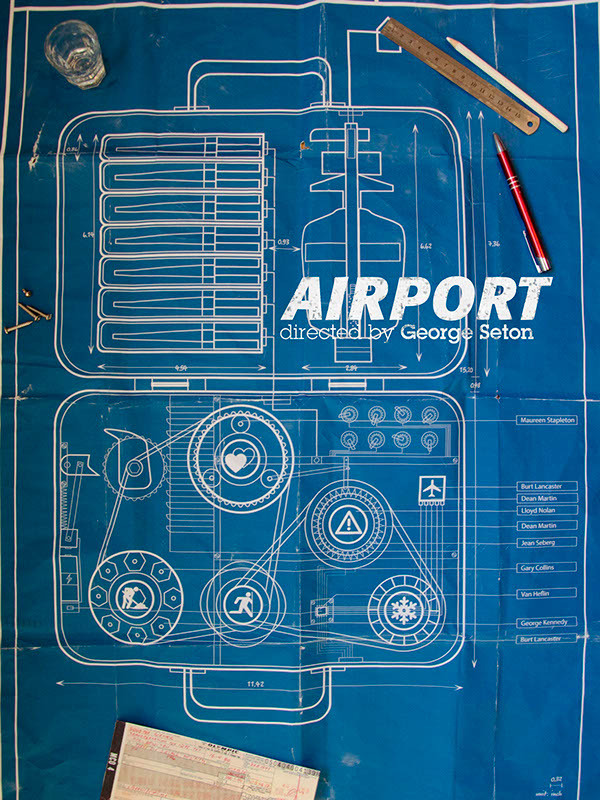 Poster for a 1970's movie named Airport. The movie moves on with someone trying to blow up a airplane with a suitcase bomb in order to get money from his insurance for his wife. At the mean time, multiple stories also linked with the suitcase bomb as well. The Design idea follow the key word linked, it shows differnt stories line linked with the suitcase just like a gear connect with other gear one of them move everyting moves.